The Fourth is officially here and that means summer is in full swing. Hip, hip, hooray! 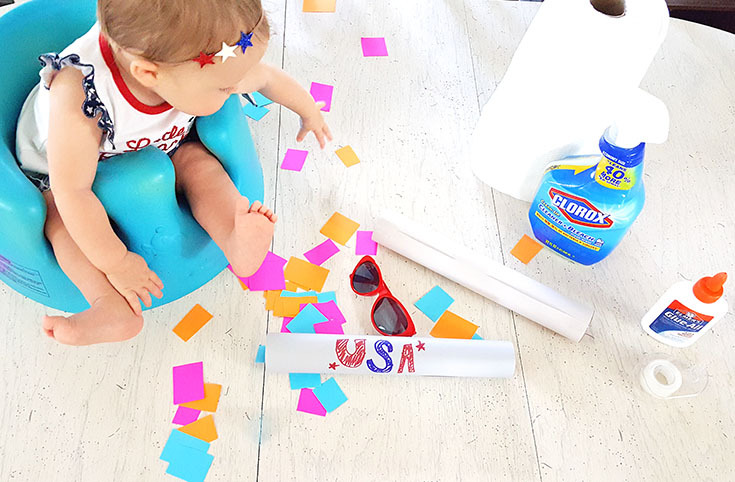 With the holiday weekend came lots of fun... and lots of messes. Instead of stressing out about the hooplah and the mess left around our house, I decided to embrace the art of a quick cleaning and got to work first thing this morning. With my trusty sidekicks - Viva Vantage Paper Towels, Clorox All purpose Cleaner, Delainey, and my hubs, I was about to "unleash the clean squad" and our house is looking sparkling clean! Within just a few minutes, we had wiped down every surface with Clorox, from counter tops to doorknobs and made sure to mop because little Miss is on the move lately. We used our Viva Vantage paper towels & Clorox to scrub down sticky messes, from the sloppy sauce splattered on our stove top to the sticky fingerprints left on our cabinets, it all cleaned up quickly and easily... and well, with the extra time on our hands, I also decided it was time for us to get a little crafty, especially once the paper towel roll was emptied! 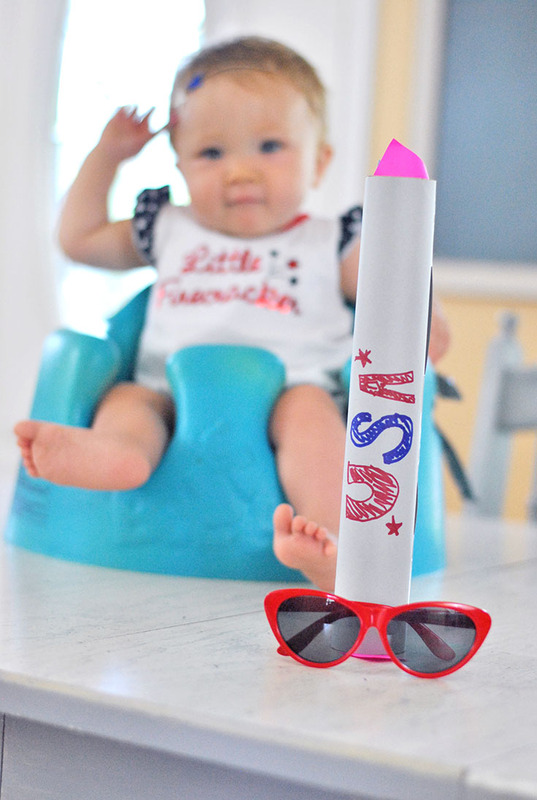 If you have a little one, you'll want to give this craft a try. 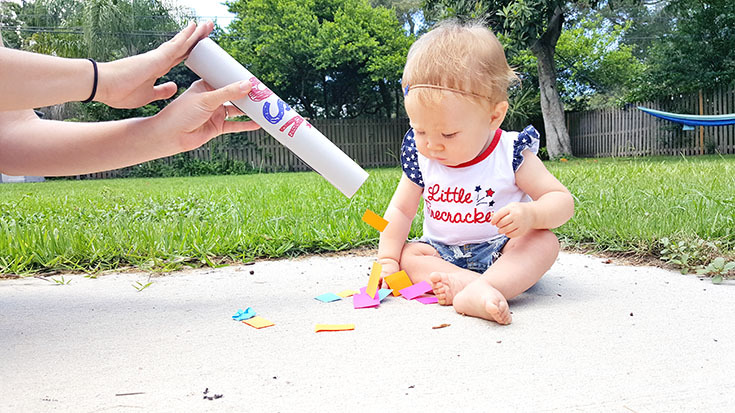 Watching the curiosity on her face as the pieces of colorful paper came streaming out of our "firework" was seriously the cutest and then the joy she had playing in the "confetti". 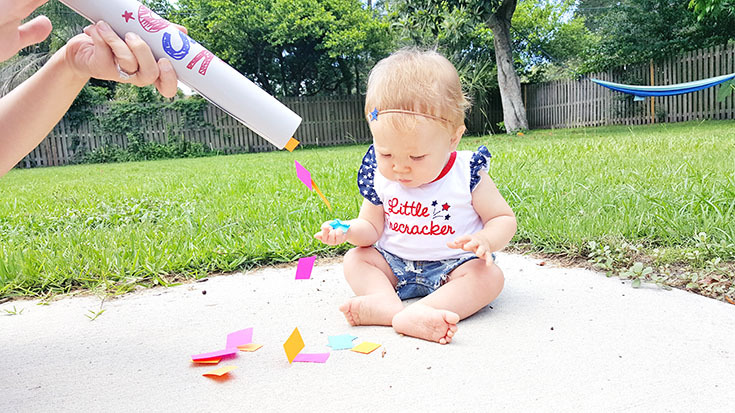 Plus, you can use the colorful paper as a learning experience, talking about all the colors, the shapes of the paper and the paper towel roll, etc. 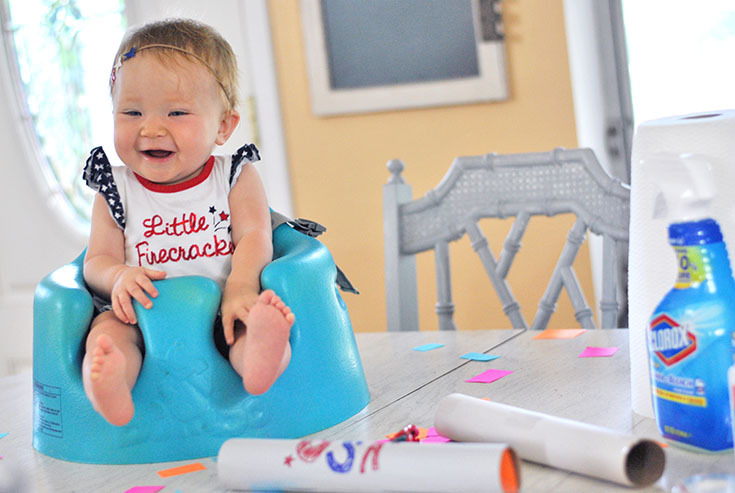 While she loved the toy and I loved being able to craft and play with her, the best part is, we were able to upcycle our Viva Vantage Paper Towel roll in a fun way! 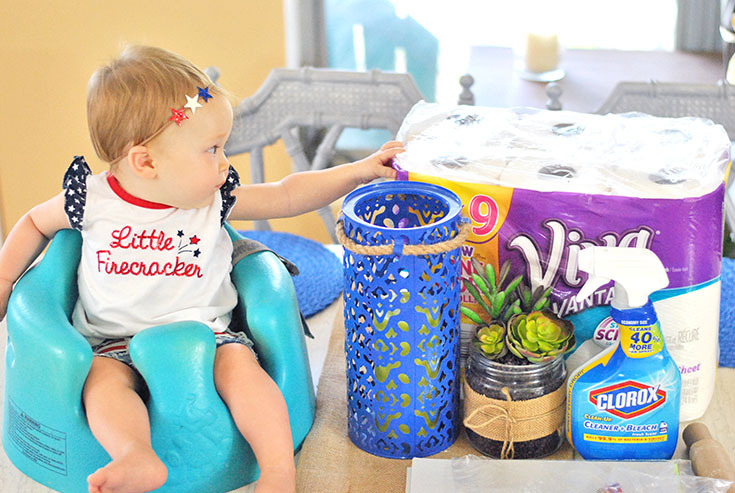 If you're like us, you probably went through a few rolls of Viva paper towels this weekend with all kinds of fun messes to clean up. 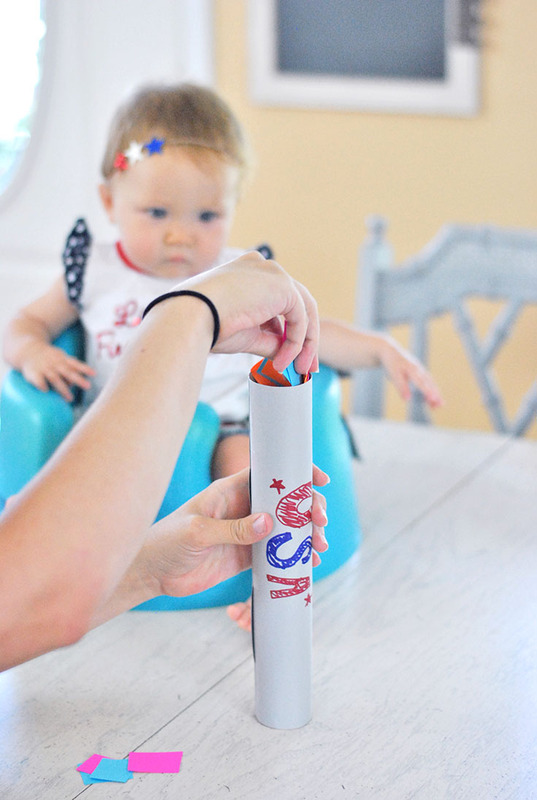 If so, this craft is totally easy and you are likely to have everything you need around your house - so get ready to make your own firework - it's going to be a blast! This craft is actually fairly simple. I made the video below to show how it all came together but here's a quick summary. 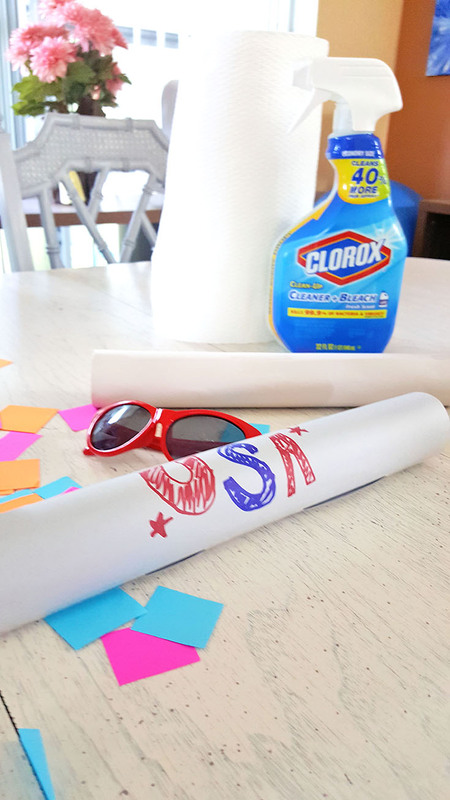 You'll begin by taping/gluing your paper to your paper towel roll. Next, design your firework... I was really sloppy with mine, but you get the idea. After that, stack a few pieces of colorful paper together and cut into small, quarter inch size strips - this will be your confetti. Last but not least, stuff your firework full of the fun confetti and shake! 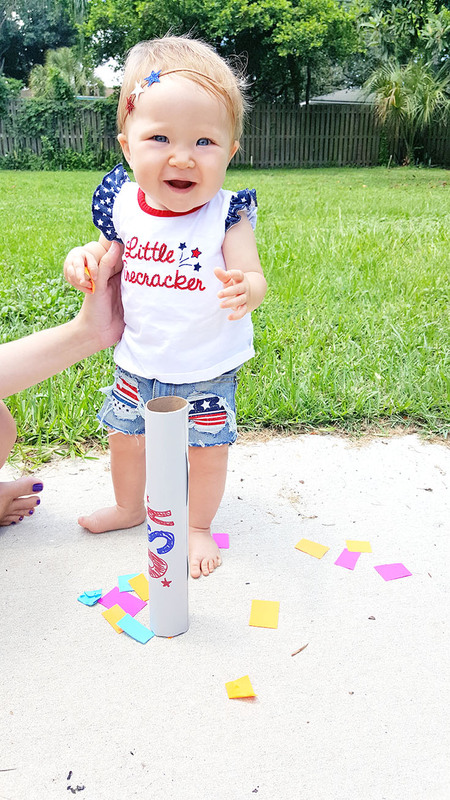 Get ready for some fun... and bonus, it's easy to pick up all the confetti and "set off" your firework again and again. As you can tell, we are embracing all the fun the 4th has to offer... while also making sure our house is looking fresh! If you need to #UnleashtheClenaningSquad on your 4th of July weekend mess or if you have some extravagant plans for tomorrow and a pig sty to clean up today, don't forget to call in some back up in the form of Viva Vantage Paper Towels and Clorox... You can grab them both at Walmart and be sure to snag your rebate via Ibotta on BOTH members of your cleaning squad! 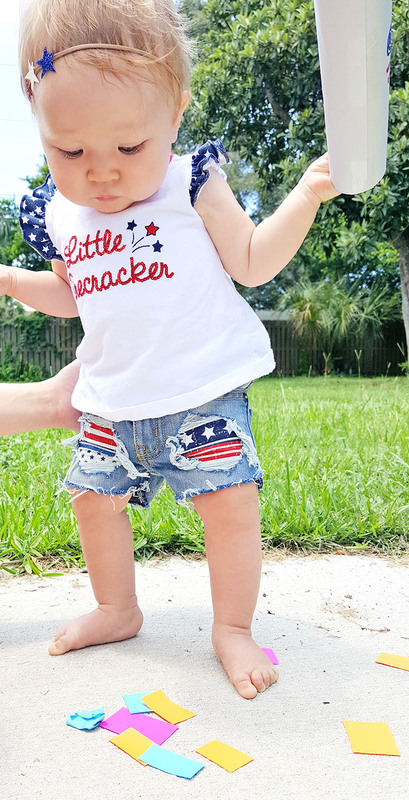 So tell me, how are you celebrating the 4th this year? I'd love to hear about your plans in the comments below!